A South Korean civic group announced on Friday that a joint inter-Korean ceremony planned to be held next week in Pyongyang will not take place, accusing the South Korean government of failing to resume long-stalled exchanges between the two Koreas. 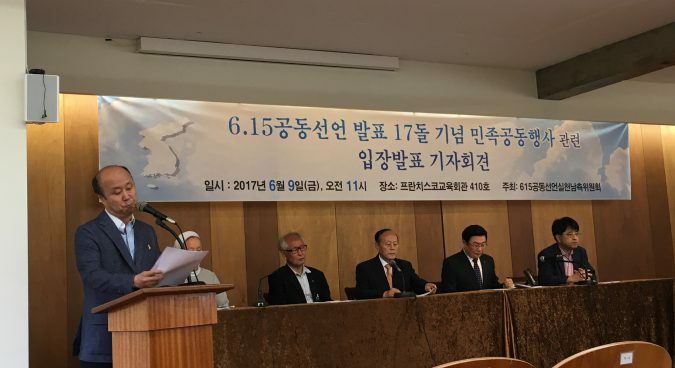 The South Korean Committee for the Joint Implementation of the June 15 Summit Declaration had previously pushed ahead with a plan to hold an event in North Korea to celebrate the 17th anniversary of the June 15th South-North Joint Declaration. 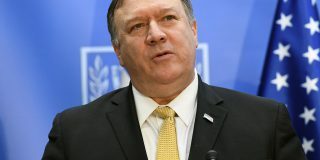 The organization was granted permission from the South Korean government to make contact with its North Korean counterpart on May 31, which was the second such approval since the inauguration of the Moon Jae-in administration. 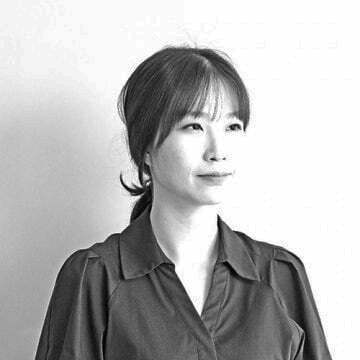 The NGO said it hadn’t yet received an invitation from Pyongyang, which is required by South Korea’s Ministry of Unification (MOU) when applying to visit the North. At a news conference held in Seoul, the committee blamed the newly-inaugurated Moon Jae-in government for the failure of the trip. “It is very regrettable and unfortunate the government hasn’t yet expressed any clear stance on the guarantee of the joint event on June 15,” a statement released by the committee said. 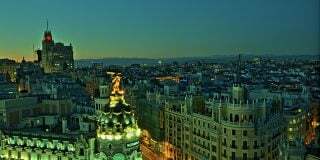 But while the MOU confirmed to NK News on Friday that the committee required an invitation from DPRK counterparts to visit the North, the civic group denied this was necessary for a visit to be approved, saying that in the past exchanges have taken two days to be approved. 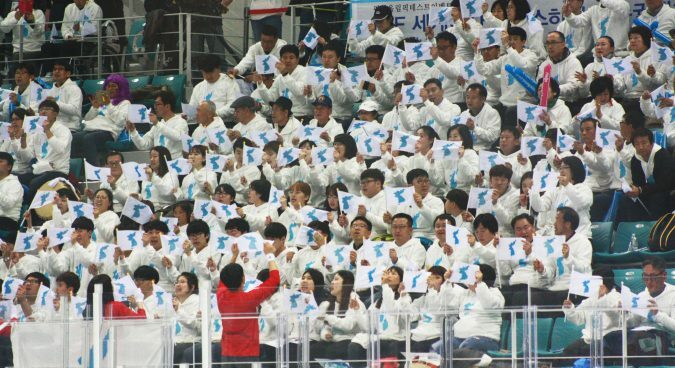 The civic group said on Monday that its North Korean counterparts were concerned by Seoul’s participation in international sanctions against the country. Arguing that several logistical issues required for the visit would require communications between the governments of the North and the South, Lee said that his group had decided this was “highly unlikely” to happen in the next few days. 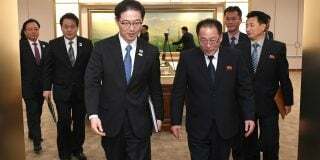 But Lee dismissed the claim that the committee had canceled the joint ceremony because of North Korea’s position. “I personally believe that the signals given by the North are a bit confusing in relation to the current situation,” Lee said.